AMSTERDAM and LAS VEGAS, Sept. 14, 2017 /PRNewswire/ -- Royal Philips (NYSE: PHG; AEX: PHIA), a global leader in health technology, announced the two-year results from the ILLUMENATE European randomized clinical trial (EU RCT) demonstrating the efficacy of Philips Spectranetics' Stellarex .035" drug-coated balloon (DCB) for peripheral arterial disease (PAD) in comparison to uncoated balloon angioplasty. Marianne Brodmann, M.D., of the Medical University of Graz in Austria, presented the data today as a late-breaking trial at the Vascular Interventional Advances (VIVA 17) Annual Conference. The ILLUMENATE EU RCT, which is part of a series of five trials evaluating the safety and efficacy of Stellarex for superficial femoral artery and popliteal disease, includes 328 PAD patients from 18 centers across Germany and Austria and compares the Stellarex DCB to an uncoated angioplasty balloon. The results show that at 24 months, 75.9% of patients treated with Stellarex maintained blood flow through the treated segment of the diseased artery, assessed through blinded core-lab adjudicated patency. Only 61.0% of patients treated with an uncoated balloon still maintained blood flow at 24 months. The data shows that Stellarex demonstrates higher efficacy and patency results, and longer treatment durability compared to an uncoated balloon, which is the current standard of care in the United States. "The Stellarex DCB produced durable results in this rigorous trial, validating earlier findings among the ILLUMENATE trial series," stated Marianne Brodmann, M.D. "These consistent, top-tier outcomes are achieved with a low-dose balloon. * Stellarex is the first low-dose DCB to demonstrate a significant treatment effect at two years." The ILLUMENATE EU RCT has independent evaluation including supervision by a clinical events committee, a data safety and monitoring board, and assessment by angiographic and duplex ultrasound core laboratories. 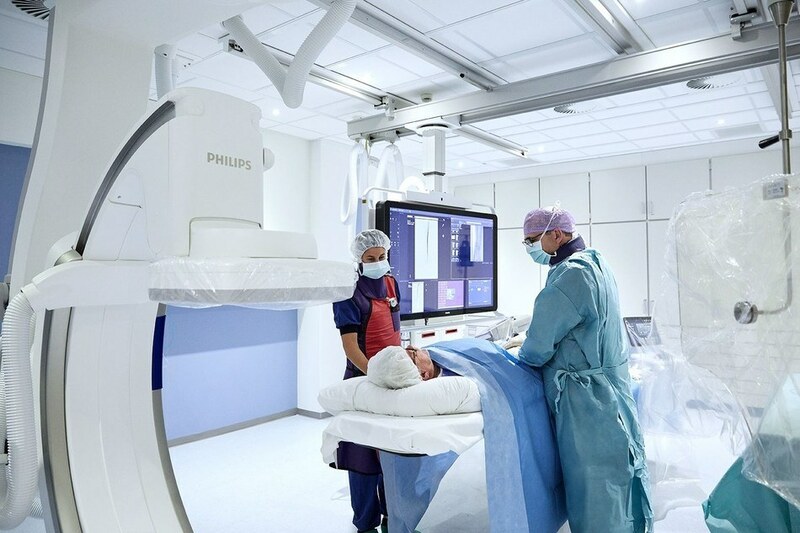 Philips Spectranetics fully funded the ILLUMENATE EU RCT as part of the ILLUMENATE series of five trials to evaluate the benefits of Stellarex .035" for various patient groups in comparison to an uncoated percutaneous transluminal angioplasty (PTA) balloon, which is the current endovascular standard of care. "We are committed to providing proven clinical solutions that positively impact patient outcomes," stated Christopher Barys, Image Guided Therapy Devices Business Leader for Philips. "We are proud to have the only low-dose drug-coated balloon with a proven treatment effect at two years compared to the current endovascular standard of care in the U.S. The addition of Stellarex in the Philips portfolio through the Spectranetics acquisition reinforces our commitment to helping physicians decide, guide, treat and confirm the right therapy for their patients." The Stellarex drug-coated balloon is designed to restore and maintain blood flow to arteries in patients with peripheral arterial disease. Spectranetics launched the device in Europe in January 2015 and received FDA approval in the U.S. in July 2017. Philips acquired Spectranetics in August 2017 to continue the advancement of its unique portfolio of image-guided therapy solutions to deliver enhanced care for patients. Visit the Philips and Spectranetics booths (406 and 405) at VIVA 17 to experience Stellarex and Philips' other innovative offerings that deliver seamless care in the vascular space. Follow the #VIVA17 conversation at @PhilipsLiveFrom throughout the event. * Low-dose DCBs are those that deliver a dose of only 2 micrograms of the drug paclitaxel per square millimeter, which is lower than some other DCBs on the market.